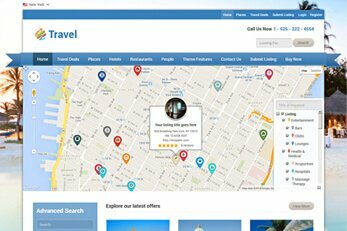 Showcase trip and vacation deals with the Travel directory theme. This is a very powerful system which you can use for travel directories. 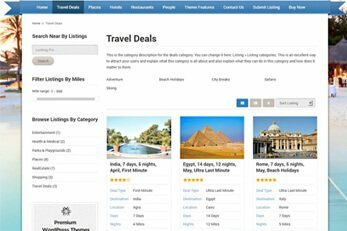 Admin or users who submit can advertise holiday packages, travel deals, tour operators, travel agents or almost anything else you wish to make a directory for. 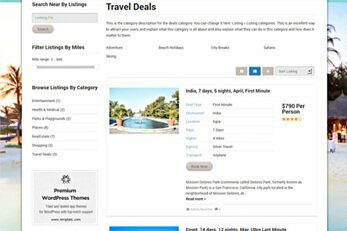 Travel is a child theme for our Directory theme which makes it have all of its amazing options but with this new travel design. 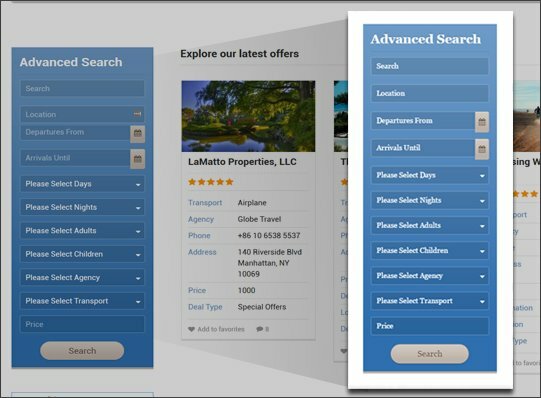 Responsive travel websites are great as they look good on all screen sizes and mobile devices as they do on desktops. 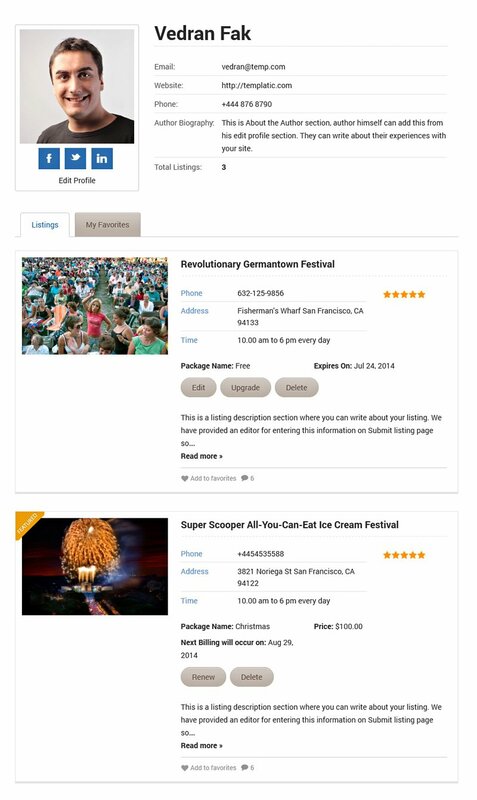 As well as being responsive, the Travel theme also comes with a cool mobile app view. This offers display which is minimal, quick-loading and easy to navigate for your mobile visitors. The mobile app view can be switched on by simply pressing a button in theme settings. 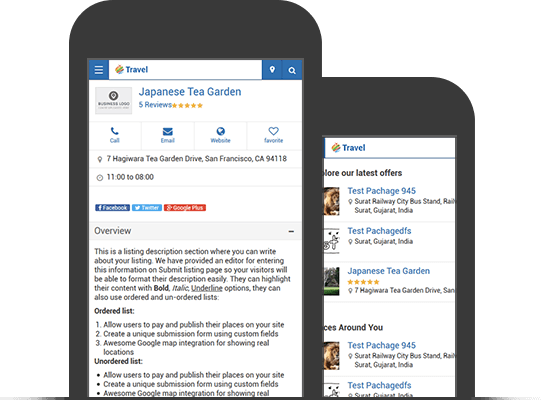 You can take a look at Travel’s mobile app view by clicking here. 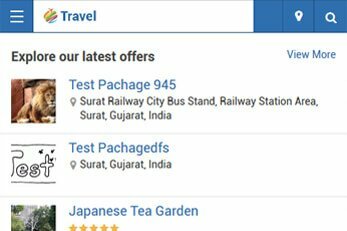 The search bar is now the most prominent element so we’ve come up with the Advanced search widget with the travel theme. 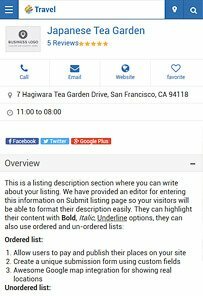 Visitors can easily search the tour packages with different criteria like by location, tour departure/arrival date, tour category, price, tour agency, transport type, and the number of night/days and much more. 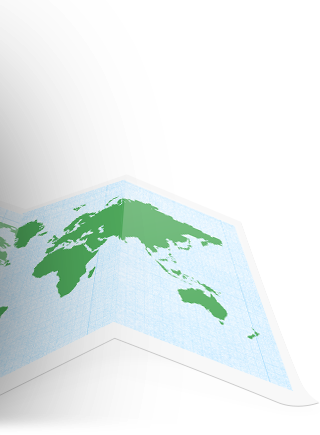 A powerful searchable homepage map which makes your search quick and easy. 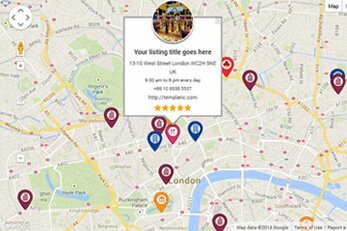 The map shows all the listings, categories and users can also use its search option to find listings. 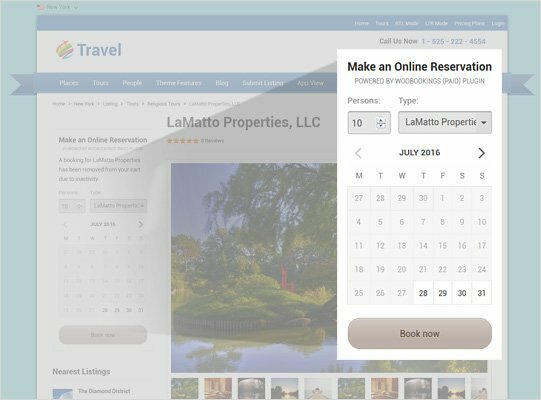 This also applies if you’ll be using Directory as a theme for hotels, parks, restaurants, properties etc. 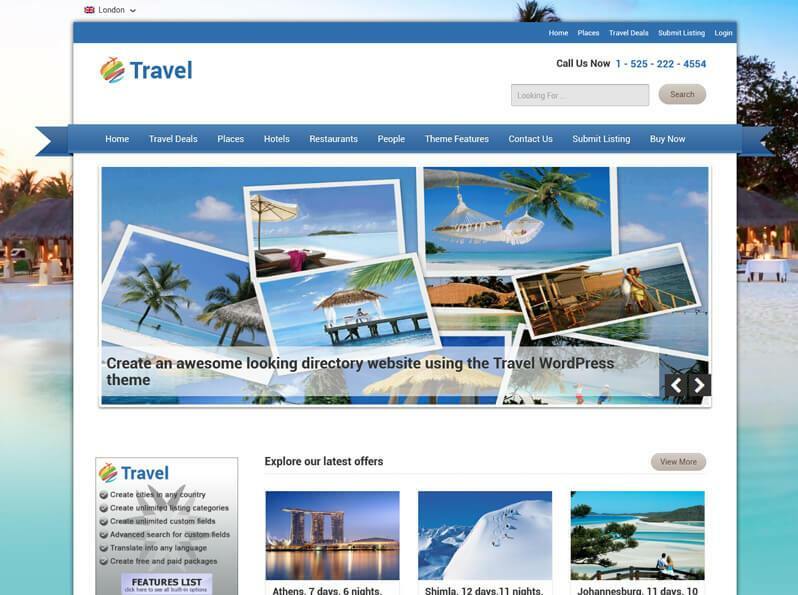 This SEO optimized travel theme has been coded with Google and other search engines in mind. 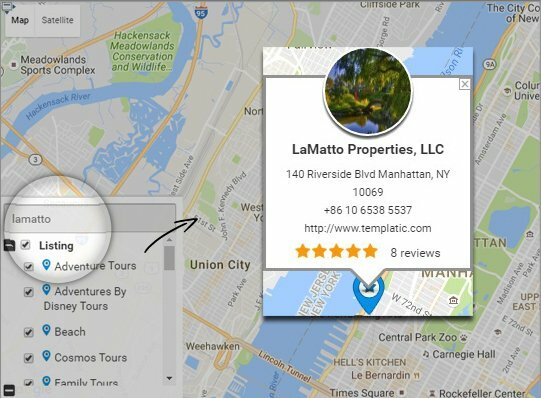 Whether you are a travel agent, tour operator, or you have a directory for the best travel services in your city, this theme will help with your SEO efforts. Travel has been coded with the best of SEO practices and it works with the best SEO plugins. 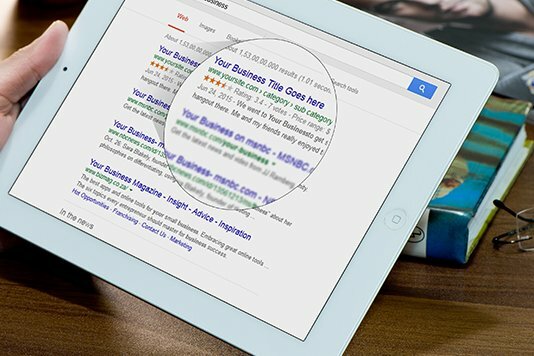 You can install and use Yoast SEO, All In One SEO, Google XML Sitemaps and All In One Schema.org Rich Snippets plugins. 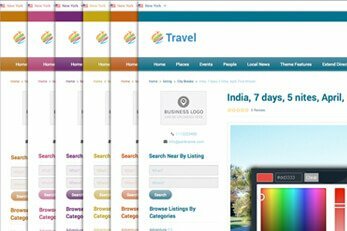 Travel has been tested with the famous WPML plugin which can make your site run in multilingual mode. 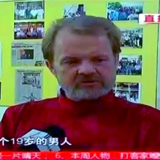 You can of course translate the theme into any other language with the included .PO and .MO files. The WPML plugin is not required to apply your translation. 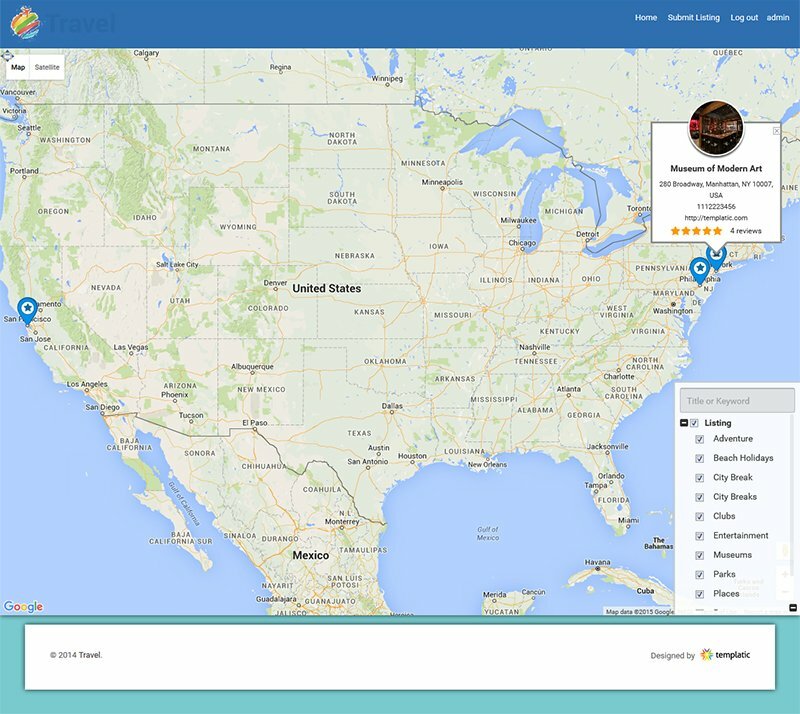 Admin and users can easily add and manage travel listings. Theme colors can be customized easily from admin panel to match your brand. 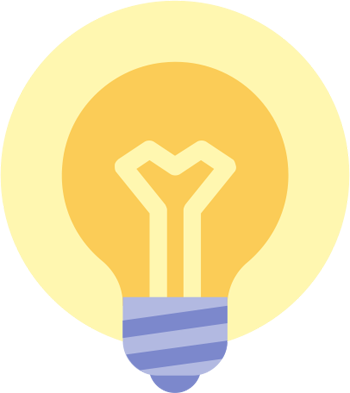 We have put together a huge collection of resources for our Directory platforms like free add-ons, a list of compatible third party plugins, theme and plugin guides, 75+ tutorials and a lot more. 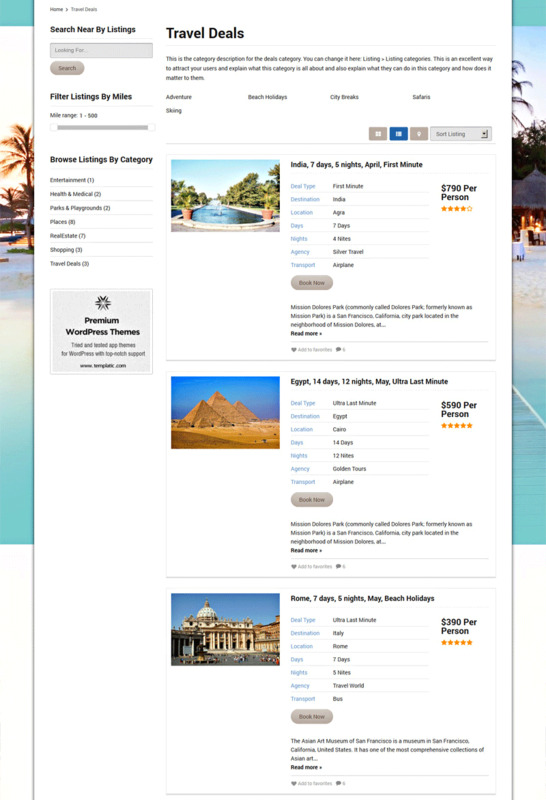 Travel is a highly customizable theme with loads of options such as advanced search and flexible listing packages. 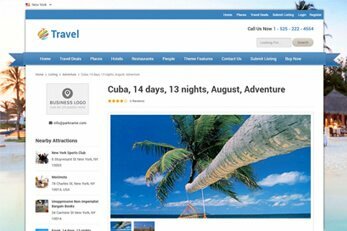 You can use it as a theme for travel agencies to submit their holiday packages or for a tour and travel website. 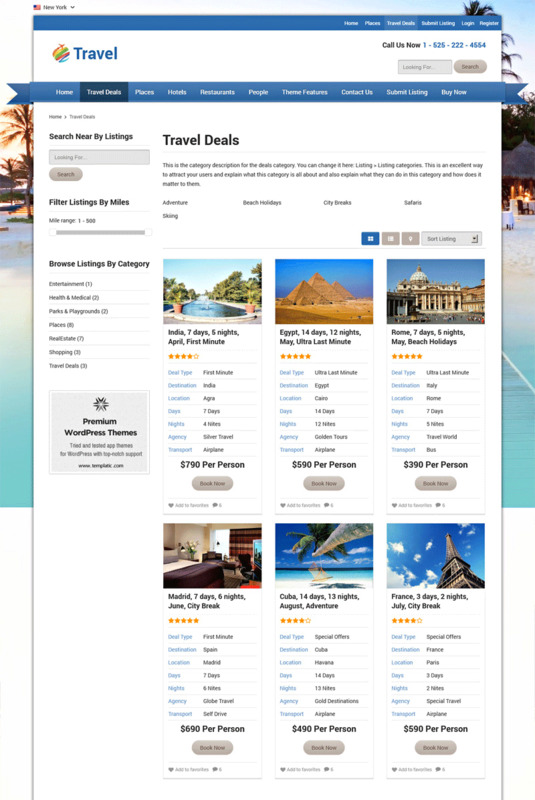 Frontend submission can be disallowed so you can also use this theme if you are a travel agency or a tour operator to list your own travel or vacation deals and offers. 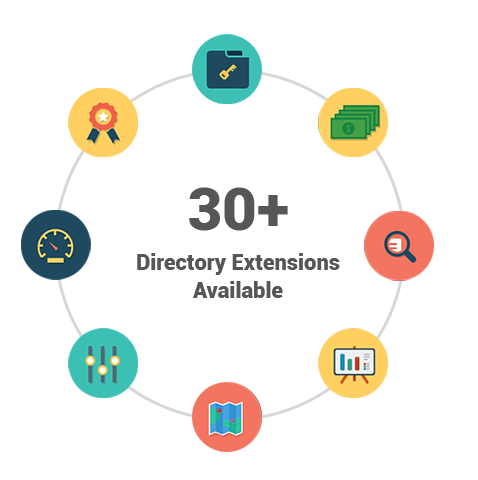 Equipped with a bundle of built-in features such as custom categories, fields and unlimited listing packages, use travel for any type of Directory. 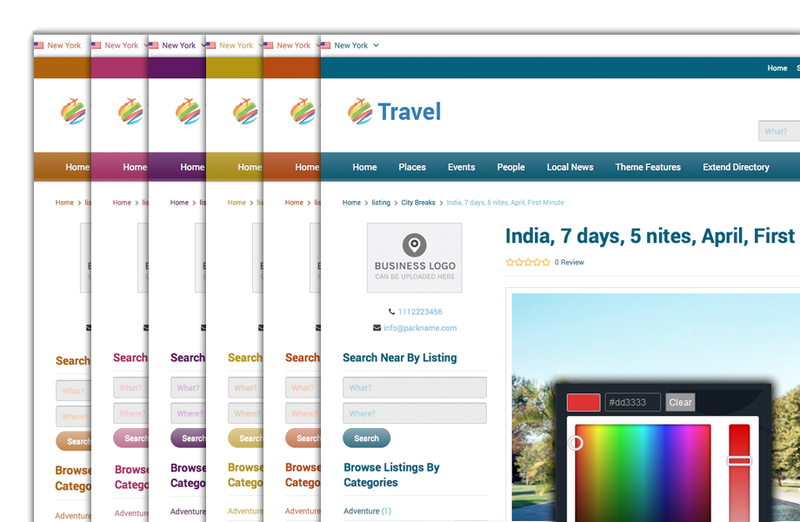 Change the colors, categories and fields if you like to turn Travel to a very powerful business directory theme. This theme also comes with it’s own built-in blog. You don’t even have to look for a travel blog theme to publish posts on travelling or destinations. Use this powerful plugin to easily manage the content of your Directory site with intuitive front-end WordPress editor. You can create beautiful looking web pages without changing a single line of code. Use the built-in skin builder to change design elements and the styling of your website. This awesome page builder lets you create complex layouts of your pages and posts with a simple drag-n-drop interface. 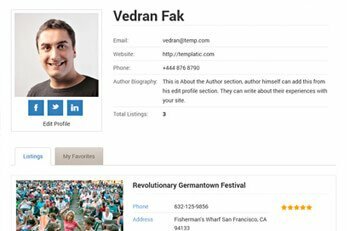 Best of all, the visual composer lets you create new page content which is fully responsive too. 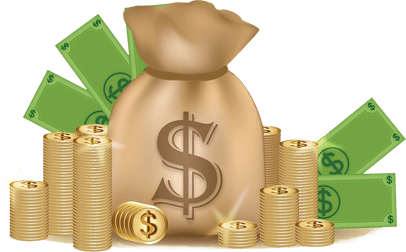 The PayPal payment gateway is included with the Travel theme. That’s not all, you also have the choice of 15+ compatible paid payment gateway add-ons. These optional add-ons help you accept payments with more of some of the other popular payment gateways. 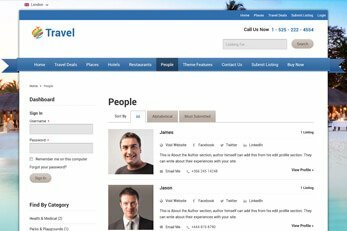 Looking to start your online travel directory or you are an agency and want to only promote your travel packages? 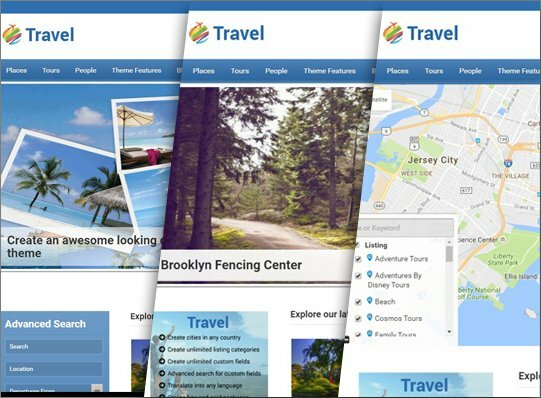 Look no further, we've got you covered with this amazing WordPress travel theme. 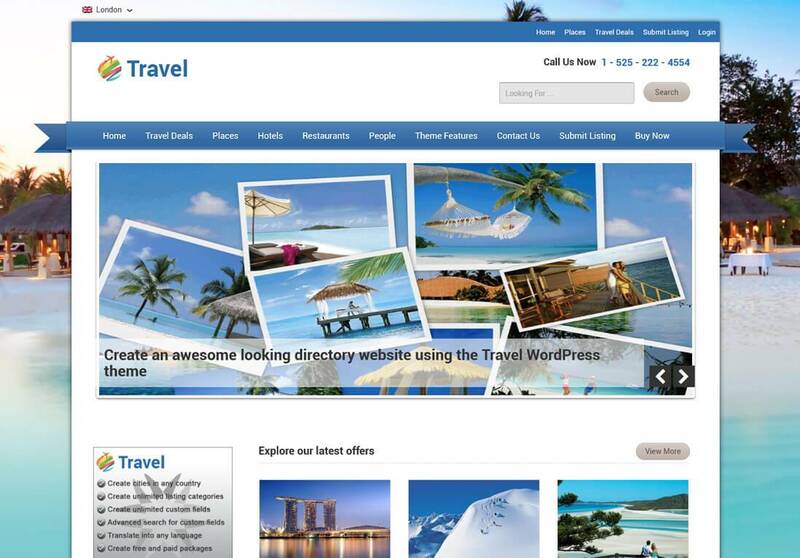 Launch your travel website today.